Trendsetting is a year-round endeavor. But there’s one week in particular where the eyes, ears and interest of fashionistas the world over land in one place: New York Fashion Week. It’s a week where style innovation meets reimagined classics. Where catwalks extend from the runway to Broadway. Where setting the scene means being seen in creatively layered ensembles and understated hair accessories. New York Fashion Week 2019 offered this and more in an atmosphere we can best describe as extra – in all the right ways. Let’s take a look at all the ‘dos, styles, and perfectly extra trends that defined the week. 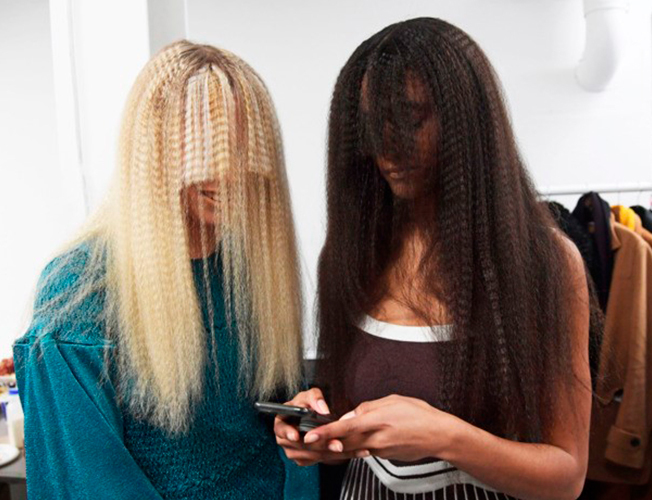 Style is cyclical and after New York Fashion Week, we couldn’t be more ready to Crimp Like It’s 1999. 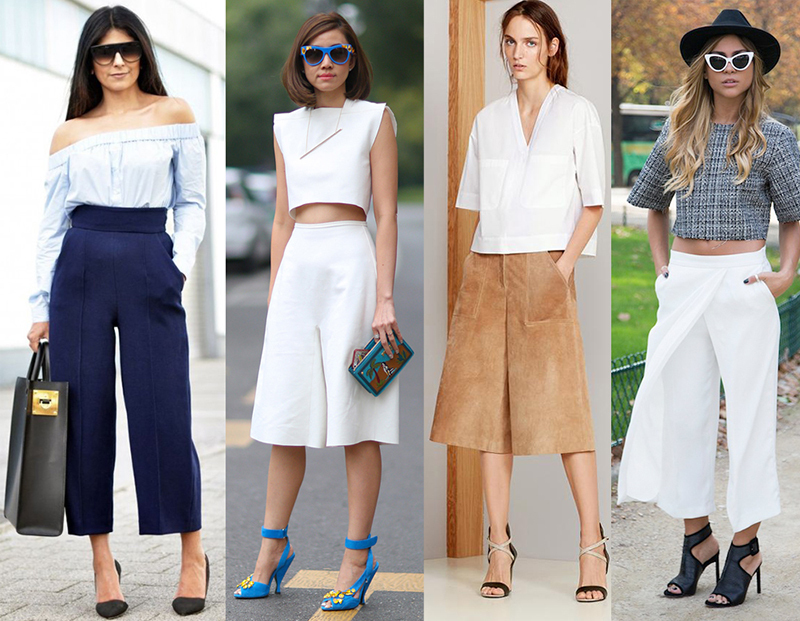 There are a few fun reasons we’re excited about this trend resurfacing. First, modern twists on throwback hairstyles – we’re sure our middle school selves will be jelly of our 2019 crimps –is fun! Second, crimping offers a moment for individuality because no two crimps are created equal, so it’s all about finding the aesthetic that works for you! Search the hashtag #CrimpedHair on Instagram for some inspiration. Be sure to share YOUR do as well with the hashtag #MONATStyle! Ariana Grande made the high ponytail trendy, but we’re saying “thank you, next” after New York Fashion Week 2019. Low ponytails captured the buzz – and our attention – and we’re here for it. Low ponytails are versatile while capturing stylistic simplicity. They work with almost any outfit whether you have straight, wavy, or curly locks. And because most low ponytails are styled loosely, you can probably kiss ponytail headaches goodbye. Check this cute look out! Hair Accessories…So In Right Now! No outfit is complete without the perfect accessory. Well, the same goes for your hairstyling! Or, better yet, days when you don’t actually feel like styling. 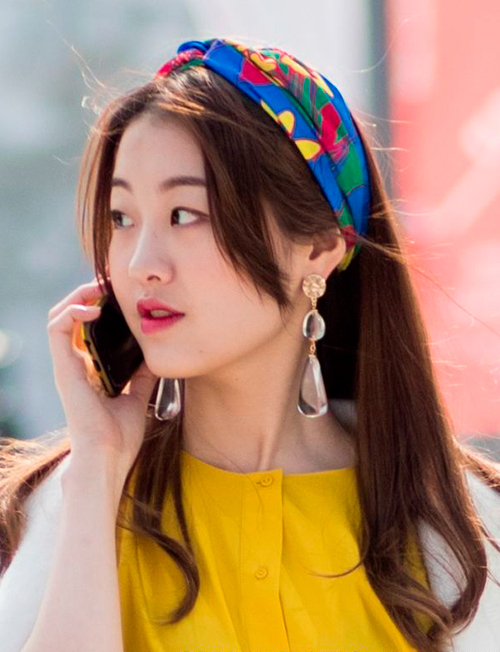 A sweet headpiece or accessory is the perfect thing for those days when you’re running around town from the bank to the supermarket, but still want to look cute. The runways and sidewalks of New York were peppered with girls rocking simple buns or straight, layered styles with their looks complemented by head scarves and bandanas. Our biggest takeaway from New York Fashion Week is that we should all feel free to be a little extra, have a lot of fun, and be all the way stylish. Did you see anything here you’ll be working into your look soon? We’d love to see it! Give us a follow on Instagram or like us on Facebook, and be sure to #MONATStyle when you post your pics! Hair is always on our mind, isn’t it? Now it’s the end of the year and you just might be searching for a last-minute hairstyle for New Year’s Eve. Or you want to know what’s trending so you can be sure you’re totally on top of it in the New Year. Or…maybe you plain just want some sort of hair change. Well, we’ve got options for you! What’s more popular when it comes to beauty than the ubür-famous Victoria’s Secret Fashion Show? In December, the show aired on TV with 60 gorgeous and lanky models strutting the runway in out-of-this-world lingerie with equally fantastic hairstyles. Let’s take a look and see what they tell us! Long, Loose Curls Will Always Be In! You simply can’t go wrong with wavy loose curls. It’s knock’em dead gorgeous, especially when your hair is in great shape…and that means smooth and shiny. Try MONAT’s Advanced Hydrating Hair Care Collection to keep your hair shiny and luscious curl-ready! Thinking of changing your hair color? Bronde is the “it” color again, a blended mixture of blond and brown that looks like, well, bronde! It was all over the runway at this show so take a hint and off to your salon you go! Go Tousled or Go Home! A combination of windswept and beachy waves, tousled is as free-spirited and carefree as it gets! This look is especially great for above-the-shoulder hair (or hair you’re growing out). And what product could be more perfect for this look than Tousled Texturizing Mist, which will give you just the right amount of swirling texture! Light Blonde Is a Guaranteed Head-turner! There’s just nothing like a towhead! This color is stand-out-in-a-room gorgeous! If you go this route, or have this color naturally, make sure you keep it a pristine blonde with Colour Enhance Perfectly Platinum Shampoo and Conditioner to keep brassiness at bay. It’s not difficult to put together an outfit. Pair a top with a bottom and you’re done. But there’s a difference between regular outfits and outfits that make you feel like a million bucks. While everyone has their own distinctive style, a few new tips never hurt anyone. So to stay up to date on what to wear, here are some dos (and don’ts!) of dressing. DO Try Denim in Unexpected Places: You can never go wrong with jeans or your classic denim jacket. However, one way to look 100% more fashionable this season is to test out denim in unexpected places like in a coat iteration or even on an accessory. DON’T Go Overboard: While we love denim on denim, make sure you don’t go overboard with your alternative denim pieces. DO Mix Textures: There’s nothing more forward-feeling and chic than mixing different textures like velvet, silk, cashmere and everything in between. DON’T Look Like You’re Trying Too Hard: Mixing textures is great but make sure your separates still go together. Pay close attention to the colors and patterns so it doesn’t look like you’re trying too hard. DO Go For Statement Boots: Right now we’re flooded with amazing boots in a wide array of interesting and unique patterns and textures—perfect to help you stand out from the crowd. DON’T Just Stick to Basic Black: While black boots will always be in style, a little change (cue: statement boots) never hurt anyone. DO Push for the Unexpected: Nothing is better than pushing the boundaries when it comes to fashion—like pairing two seemingly different styles of clothing together (like a nerd-chic sweater with a femme skirt). DON’T Wear a Costume: While going for the different is fantastic, ensure that you’re not just throwing together random items that scream costume! DO Add Layers: Layering is not only crucial to keeping warm during winter but it’s also the simplest way to look put together and fashionable. DON’T Forget about Proportions: While layering is undoubtedly chic, there is such a thing as too much layering. Make sure to watch proportions. Don’t bulk up too much with too many extra fabrics hanging about randomly. 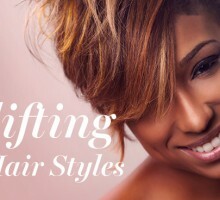 When it comes to hair DO’s, low ponytails, ballerina buns, ultra-voluminous hair and the fringe cut are totally in. 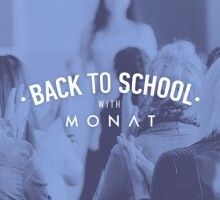 Use MONAT’s Sculpting Taffy to help strands stay in place! *This blog was inspired by various fashion sources in the public domain.